All International and Australian orders are dispatched from South Australia, Australia and are sent via Australia Post. Free Shipping – orders of AUD $50.00 AUD or more. Please note, your order total must reach AUD $50.00 or more after any discounts have been applied. With Standard Shipping and Free Shipping you will receive your Kosmea delivery within 5-10 workings days from the placement of your order. Express Shipping is only available within Australia and with this option you will receive your Kosmea delivery within 1-4 working days from the placement of your order. Kosmea will post orders to all states and regions throughout Australia including PO Boxes. Click Here to check what International Shipping Zone your delivery country falls under. International orders are dependent on the requested shipping destination. You will receive your order in approximately 10-14 working days from the day you placed it. Please note that freight charges do not include any applicable international custom duties or import taxes which may arise upon product entering your country. All international custom duties, taxes and related charges must therefore be borne by the purchaser. International Orders will be charged in Australian Dollars (AUD) as per your order confirmation. Due to customs regulations and circumstances beyond our control we are only able to ship to certain countries. Please click here for a list of countries that we ship to. 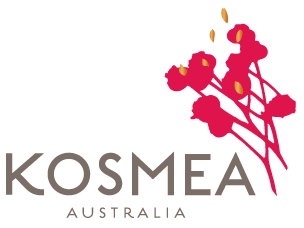 If you would like to check the status of your order please email us at orders@kosmea.com.au quoting your order number and one of our friendly staff will be happy to help you with your query. Kosmea will endeavour to organise the dispatch of your order as soon as we receive it. 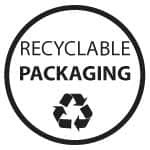 If you have changed your mind about the order you made and would like to cancel or change it, please email orders@kosmea.com.au, quoting your order number as soon as possible. Please be advised, if your order has already entered the dispatch process, it cannot be changed or cancelled. 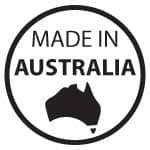 Kosmea Australia is based in Australia and we are required by law to charge Goods and Services Tax on all orders shipped to customers within Australia.